I wanted to extend a special thanks to Krafty Krepes and especially Manager Athena Borrego for offering to display the new SanDiegoRadio.Org License Plate Frames in their SDSU shop. 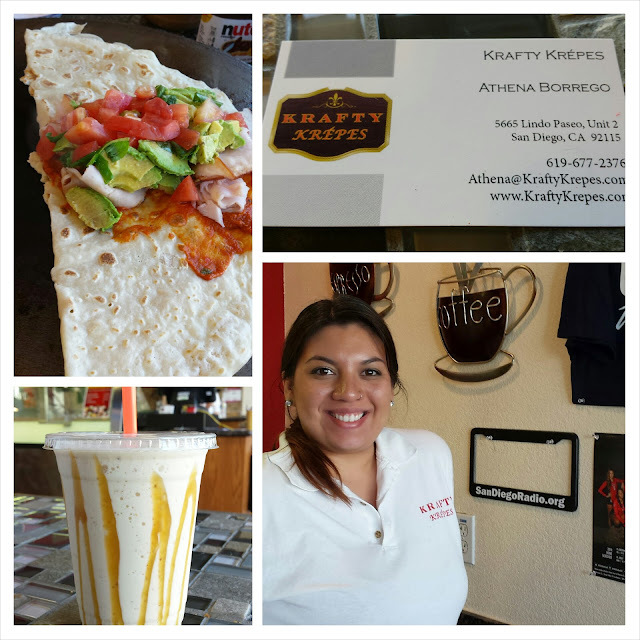 They offer delicious crepes, wraps, salads and smoothies. Two locations, SDSU on Lindo Paseo, and on Prospect in La Jolla. Thanks again for your support of both radio and SDR!